As parents of little ones know, bedtime is a precious time. The perfect way to end the day with your perfect person. Stories. Snuggles. I love you Daddy. That desire for you to secure them, to look after them, to keep them safe. Precious doesn’t really get near it. It is priceless. But like other parents, we know that bedtime is also a time for fun and games. Miss J isn’t four yet and she seems to have already learnt all the tricks in the book. Her latest is to ask for Daddy to take her to bed, read the story, turn the light off and get settled, only to then insist on Mummy completing the job. I swear she does it for a rise. It’s a whole performance. But like everything else she does it is impossible to be cross or even miffed – it actually takes all my efforts and control to maintain a poker face and avoid laughing. Every phase of parenting brings its own challenges, learning and anexities, but also it’s unremitting joys. For all the messing around for who is putting her to bed, I know how lucky we are. Four Christmases ago we were two with a big bump. Five Christmases ago we were two with the heartbreak of a 21st December miscarriage. 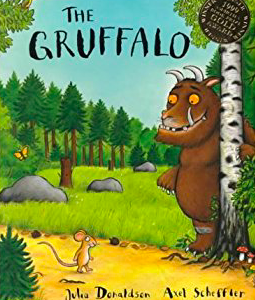 I can’t wait for this Christmas – a special time to offer special thanks for all the joy we have in our lives; Gruffalo; fun and games; the lot.